I finished up two books recently both very hard to get through. 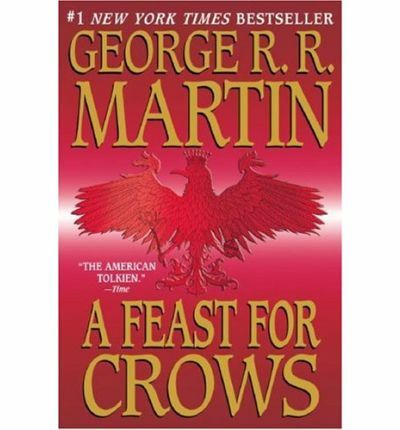 A Feast for Crows is the fourth book in the Song of Fire and Ice series. At 1,000+ pages, it's no quick read. I started the audio version forever ago, but my library checkout kept expiring before I could get very far. Plus the narrator on this fourth version didn't hold a candle to Roy Dotrice who read the first three - complete with voices and singing. The final straw was when my mp3 player scrambled the chapters in the last half of the book. I borrowed my husband's paperback version and flew through it. The sweeping story is highly engaging with complicated characters, relationships, and plotlines. The hard to read part is the violence. It's extreme for all the characters. The violence towards women in this book is at times almost impossible to get past. I read a few parts with my eyes partially covered and my stomach queasy. The saving grace is that the female characters (as well as the male ones) are really interesting and multi-dimensional and (I hope!) there's going to be some serious retribution. The fifth book in the series, A Dance with Dragons, is set to be available in July. 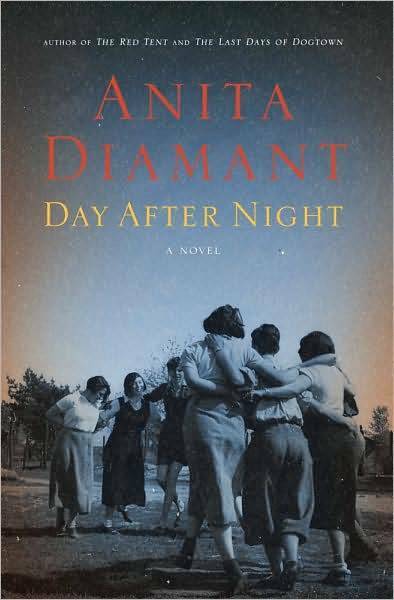 The next book I picked up was Day After Night, a novel about Jewish women in a refugee camp post WWII. I have no idea what I was thinking. I went from fantasy-based gruesomeness straight to reality-based horribleness. I think I really should have given my brain a break with something light and fluffy. I have adored past books by Anita Diamant - The Last Days of Dogtown was a fantastic read and The Red Tent was hard to put down. This one felt lacking. The characters were pretty interesting and their stories were just as awful as you can imagine. (Seriously - what was I thinking?) I just felt that the reader didn't really spend enough time with these women. Not long enough to really have them stick with me. It was interesting to learn a bit about this part of history though. Next up, I've promised myself a fluffy gardening book or Georgette Heyer novel. Sometimes the brain needs a rest. You just made my day with the new book release! Lord I have been waiting around for what seems like forever for the next book in the series. It took me a while to get into the first book because there is so much to absorb with characters, how they're all connected, and the entirety of a huge new world.